After learning how to create an article, you may need to know how to go back and make changes. 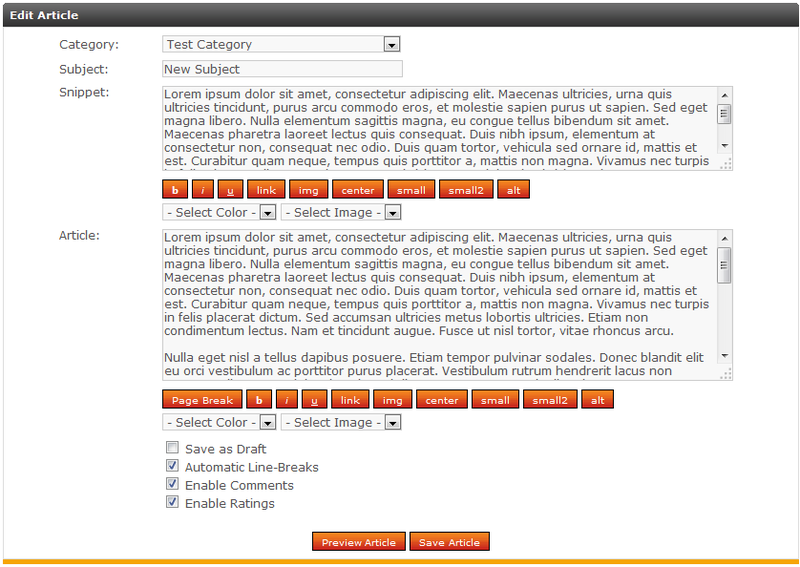 Editing an article is very easy within php-fusion. Our instructions below will explain how to do just that. Look to the top menu bar and click on the Articles link. This brings up the Articles list. Locate the article you want to edit and click on its title. The article snippet will appear on the page, click on the article title once more to open the whole thing. 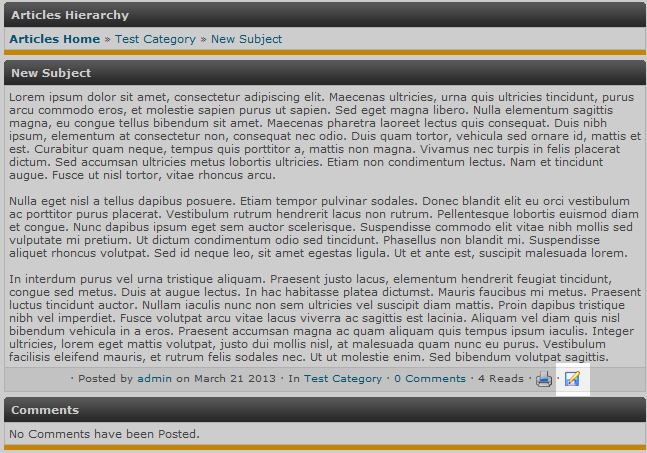 Once the entire article is displayed on the screen, scroll to the bottom and click on the Edit button. It appears as a floppy disk with a pencil on it. You are taken to the article edit screen, where you can change the article any way you need to. Once changed, click on the Save Article button to save your edits.